Get out and about in Bowland! This section has up to date information and notices about access routes and other useful information relating to activities in the Forest of Bowland AONB. Visit the links above for specific activity information including download maps for walking, cycling, riding and tramper trails. By careful planning, location and timing, it is often possible to combine recreational events with the conservation of SSSIs (Sites of Special Scientific Interest). However, there are legal provisions, which protect these nationally important wildlife and geological sites, which need to be complied with. Owners and occupiers of SSSIs have responsibilities to consult with Natural England and may need consent before permitting operations that may damage the special conservation interests of SSSIs. 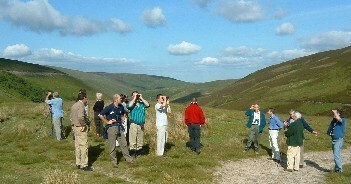 The landowner (or event organiser if they have written consent from the landowner(s) – proof will need to be shown to Natural England - to act on their behalf, including liaising with Natural England) must provide formal written notification of the event to Natural England, requesting permission for it to take place (on SSSI land). Final consent will be granted to the landowners in any case. An informal discussion with the local advisor is recommended before a formal notice is submitted. You can search for SSSI details including the list of operations likely to damage the special features. On receipt of your notice, Natural England must consider the likely impact on the special features of a SSSI. The legislation provides Natural England with four months to decide whether to, issue consent, issue consent with conditions or refuse consent. Notices for an operation that will not damage the special interest, are likely to be consented. In some circumstances conditions or time limits may need to be attached to the consent to make sure that a notified operation is not undertaken in such a way, that damages an SSSI. If consent is refused to an operation that may damage the special features of a SSSI, that operation may not legally go ahead. If you are unhappy with conditions that have been applied to a consent, modifications or refusals you can appeal to the Secretary of State. 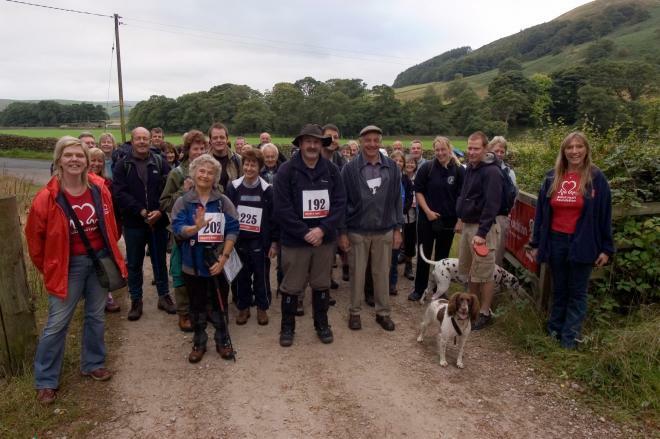 Access Land - The Countryside and Rights of Way Act 2000 gave general right of access to walkers for the first time to ‘Access Land’, for the purposes of open-air recreation on foot. Access land in the Forest of Bowland AONB offers some of the roughest and most remote walking in the North West, and linked with the network of public rights of way, gives plenty of scope for enjoyable and challenging walks. For further information about Access Land visit Natural England website. Some access land may have restrictions in place (eg no dogs or no access on specific days), to check individual access areas follow this link. You will need to input a place name and the date you wish to visit. Treading Carefully - Treading Carefully is a leaflet that has been produced in partnership with the RSPB, Natural England and Lancashire Countryside Service and illustrates how walkers and birdwatchers can help ground nesting birds. Copies are available from Tourist Information Centres in the area or you can download the Treading Carefully Leaflet (pdf 1.1mb) (516) here. GPS Trailing - GPS trailing is a fairly new pastime to sweep its way across the UK. Likened to a high-tech treasure hunt, it is a pleasurable way to explore the countryside and is a particular favourite with families. Yorkshire Dales Guides have set up 7 GPS trails in Bowland. For details of the trails visit the Yorkshire Dales Guides website . Maps - Before embarking on any walking in the Forest of Bowland AONB we recommend that you purchase a copy of the Ordnance Survey Map OL41 - Forest of Bowland and Ribblesdale. Also look out for the new Harveys map of the Forest of Bowland AONB which includes a tourist map highlighting cycling routes and facilities and a large-scale walkers map showing Access Land routes in the Bowland fells. Visit the Harvey map website. Useful maps and information relating to public rights of way and access land can also be found at Lancashire County Councils MARIO website (maps and related information online). Alternative Adventure deliver professionally run outdoor pursuits activities for the widest possible range of groups. This includes corporate events, management groups, Over 50's clubs, hen parties, stag parties, adult and junior birthday parties, fun days for family groups, primary schools, junior schools and secondary schools, pupil referral units, special needs organisations, further education and sixth form colleges and youth groups. Their activities include Rock Climbing, Open Canoeing, Orienteering, Abseiling, Archery, Gorge Walking, Caving, Mobile Climbing Walls, Problem Solving Exercises, Mountain Biking, Sea Cliff Traversing, Team Building Exercises, Kayak Canoeing, Mountain Walks, Winter Skills, Navigation, Raft Building Earth Ball and more. They deliver activities in and around the Forest of Bowland area of Lancashire and beyond.